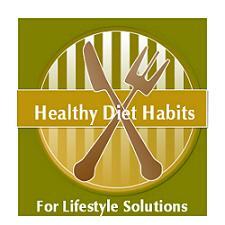 Your eating philosophy is a set of ideas or beliefs that you believe about eating. You will not be able to develop your personal philosophy, until you have a firm grasp of yourself and how you use food in your life. It has nothing to do with dieting! Once you journal, fill out your journal evaluation worksheet, develop your "Weight Loss Plan" and "Food Policies" sheet, you should be ready to develop your philosophy. It should not change over time. Mine has been the same for many years and includes many of my Lifestyle Solutions and Healthy Diet Habits that I need in my life. Here is a copy of mine as an example, but remember yours will be yours! I was tempted to make mine really great, but that would be cheating. This has been my eating philosophy for over 4 years, and it is just as true today, as the day I wrote it. Review your philosophy often as your motivation! I pledge to enjoy what I eat without guilt, eat in moderation, eat a diverse diet that includes plenty of fruits and vegetables, decrease anything made with white stuff, find low calorie substitutions and cheats for my love foods and not drink calorie liquids because eating is much more fun. I pledge to make meals simple, real meals and not just food on the run, and that I will stop multi-tasking and really taste and enjoy what I am eating. I will eat when I am hungry and stop when I am full. I will stop mindlessly eating while watching television, and eating at night, and when I do eat I will do so at the table, rather than grazing. I will keep updated about new products. Eating 100 less calories a day will cause me to lose over 10 pounds a year.